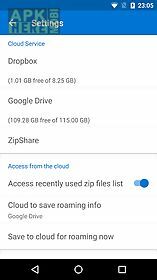 Winzip – zip unzip tool app for android description: Winzip the world 39 s 1 zip and unzip utility makes it easy to create extract and share zip files on your android device! 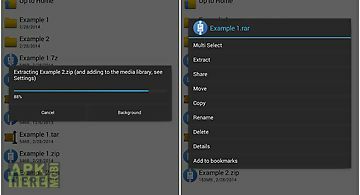 Compress files for easier sharing and storage and stretch your data and storage limits. Open and save compressed files whether they 39 re attached to an incoming email downloaded from a web page or opened from an sd memory card. 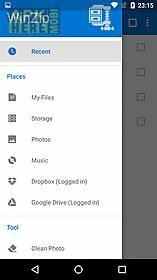 Add available banking level encryption for peace of mind security and direct google drive and dropbox access for files photos and videos that you want to save in the cloud. 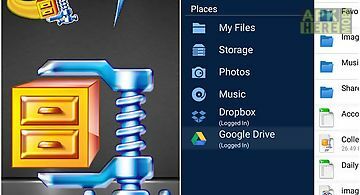 What can you do with winzip? Create zip and zipx files unzip zip zipx 7z rar and cbz files email zip and zipx files view zip files that include supported image text and web files directly in the winzip app open other popular file formats with third party app integration open encrypted zip and 7z files (including aes 128 and 256 bit) to review sensitive material safely while on the go easily navigate and manage files on your phone or your phone s sd card automatically unzip and install android apps (. 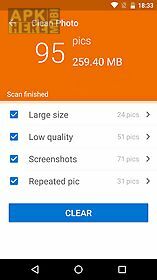 Apk files) delivered as zip files from google play the amazon appstore and samsung app store improve mp3 lossless compression by 15 20 on average or more by using the zipx format save space with smart photo tools that scan your local photo folder and identify duplicates poor quality and large files that you can review and deletewhat s in the premium version (purchase)? Encryption: create and protect zip and zipx files with 128 and 256 bit aes encryption ad free email (zip email) and unzipping no ads or delays cloud integration (such as google drive and dropbox) for easy access to the latest versions of your files on your computer (winzip 21) or android device. 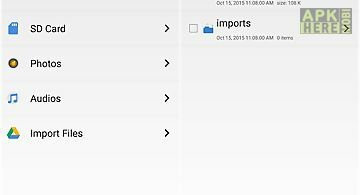 File support and third party integrationwinzip for android lets you view: photos and images (. 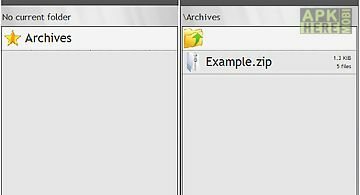 Easy unrar unzip zip allows you to extract rar and zip files easily. It has a browser to view files on your phone or your tablet. Supporting all versions o..
Is a popular archiver from winzip developers. 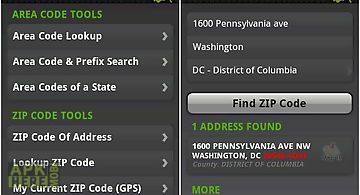 With the help of this application you can easily unpack look through and save zip files in your mobile device..
Unzip assistant is an essential unzip tool which is concise and easy to operate for the android system. 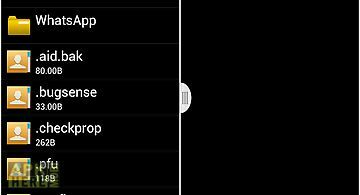 It can unzip compressed files such as zip and rar f..
overview file manager app with file compress file extract features! 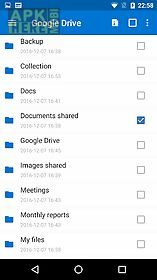 Alzip on the android is not only a tool to zip or unzip files but also a file manager ..
Zip extractor is an very useful utility application and it is also very convenient to use. It works with rar zip and jar files. You can extract file from t..